The latest versions of Mail in iOS allow iPhone and iPad users to quickly filter their email inbox to display unread messages with the simple touch of a button. 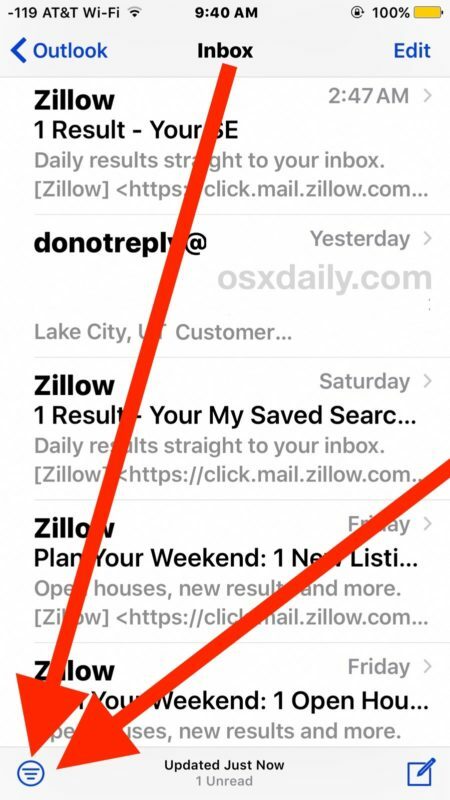 The unread email message toggle will instantly change the currently viewed inbox in iOS Mail to display all unread emails in the active inbox, it’s simple and fast, but easily overlooked. If you haven’t seen this feature before, here’s where to find it and how to use it so you can quickly show all unread email messages on your iPhone or iPad. Note this is a different feature than using the dedicated unread email inbox in iOS, and it offers a faster approach to quickly toggle to view new messages in the currently active inbox (or all inboxes if you’re showing them all). You can mark emails as read or unread from this screen and they will show or hide depending on their status and the view you are using. For example, if you showing the Unread messages but you read a message or mark an email as read, or mark everything as read, it will no longer be visible in the Unread messages view. You’ll need a modern version of iOS to have this feature, if you haven’t done so yet be sure you update your iPhone or iPad to the most recent versions, a minimum of iOS 10.0 is required to have the Unread email messages toggle. Great tip for iPhone workers. I almost always only show my unread inbox, I find it most useful to show the unread emails in Mail app on my iPhone because then it works like a to-do list sort of. If it’s unread, I haven’t dealt with it yet. This is a very neat and useful tip. Given the number of other similar tips perhaps it would be a great idea to create a Listing of all such Previously Reported Tips? This could take a form of a simple list or better on a Spreadsheet. Now, with the new iOS, I get every email that I ever received in my email account, whether I already opened it or not at work on my laptop. This costs me a lot of time – deleting emails from my iPhone that I have already read, taken action on and have deleted from my laptop. 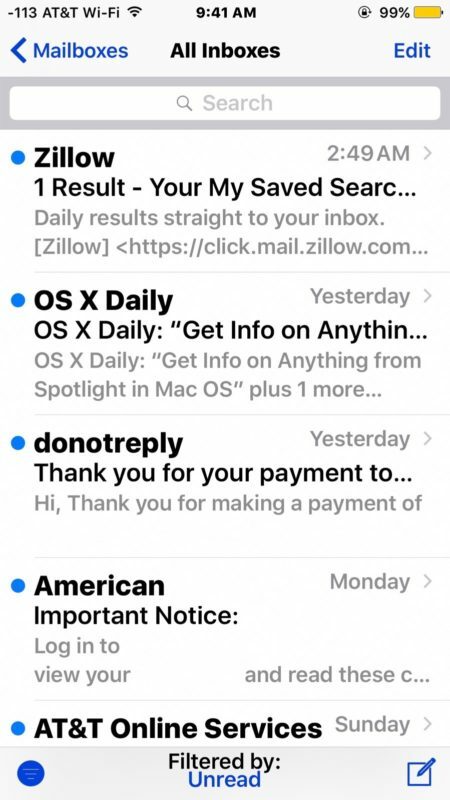 Is there any way to set my iPhone to only receive new, unopened emails? This is so frustrating!